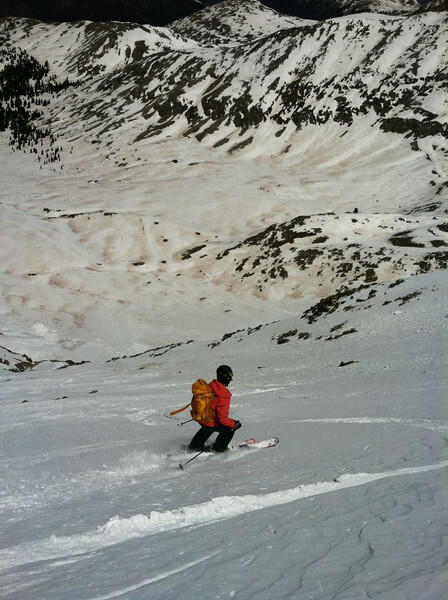 Last on the 2013 ticklist was a line we checked out while skiing Fletcher Mountain, the beautiful NW face of "Drift Peak." 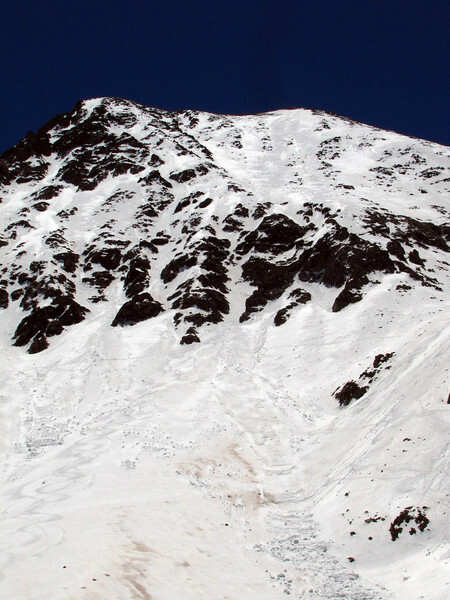 Drift is unranked and unnamed peak. 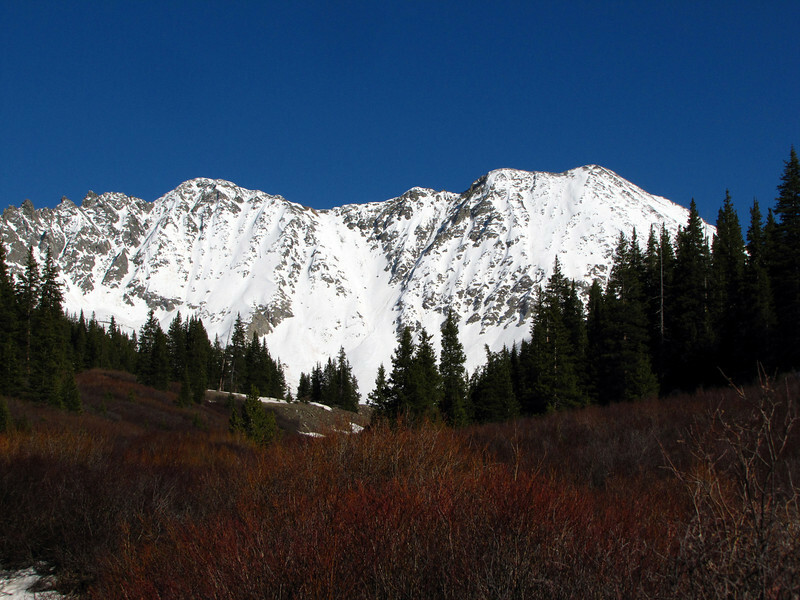 No exact elevation is given on the USGS topo maps, so one can infer that it might rise as much as 318' from its connecting saddle with Fletcher. 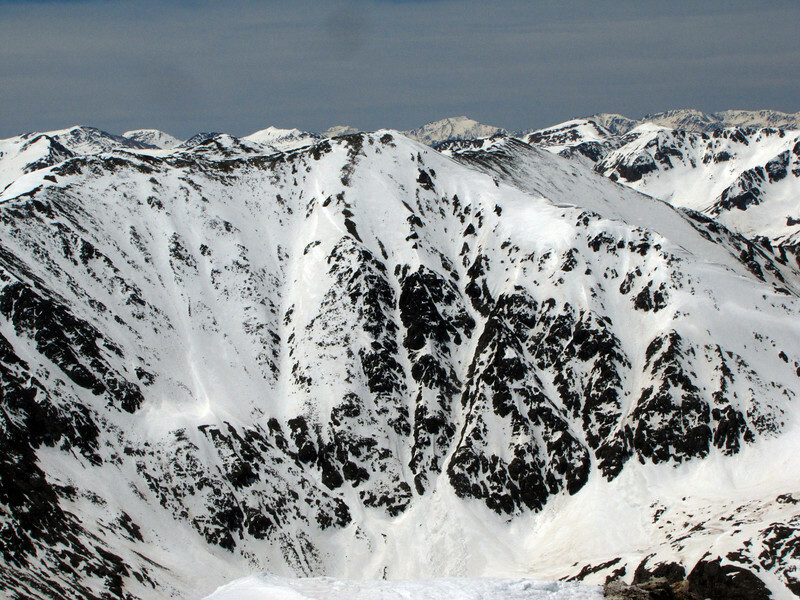 It rates just a "soft" rank on the list of 13ers with an elevation guess of 13,900'. The view from the trailhead was even better than the previous weekend. Fletcher left, Drift right. Ryan and Vela skin towards Drift's NW ridge. 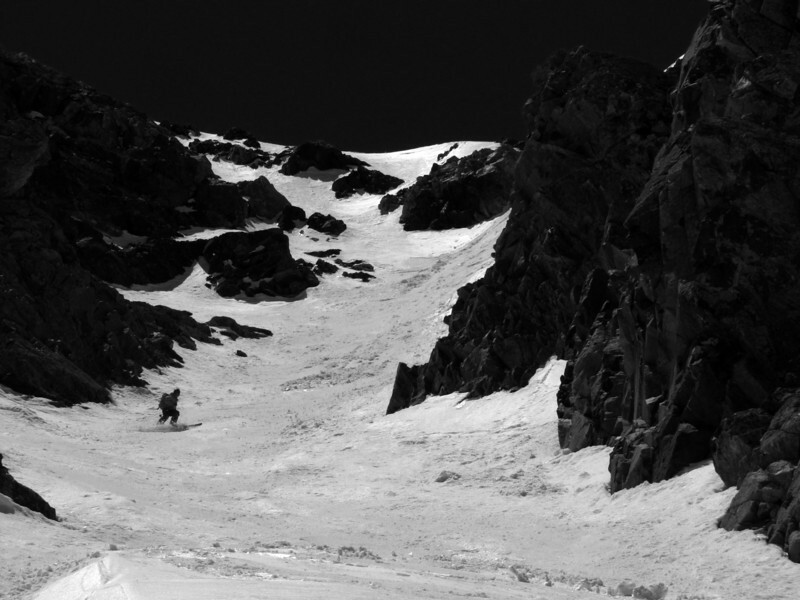 The north face of Clinton Peak hosts some very interesting couloirs. The line was very steep, and we didn't take many photos in the upper section. In the middle, a slight bench allowed a reprieve. Ryan. 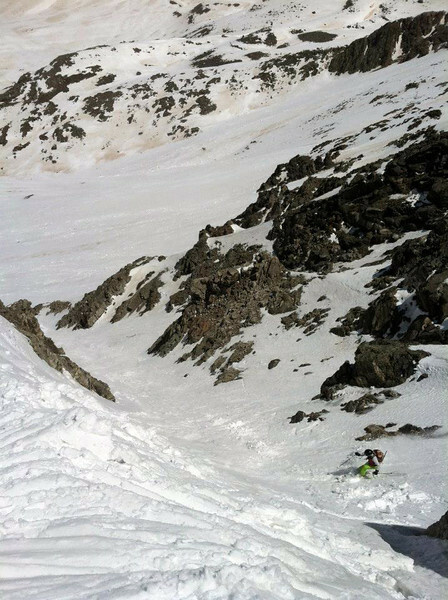 A cliff band crosses the lower part of the line, with several different options to exit through aesthetic couloirs. Vela drops into our chosen one. I attempted to shoot from the bottom, but mostly failed. I actually can't tell if this was Ryan or Hans. A look back up at the face. 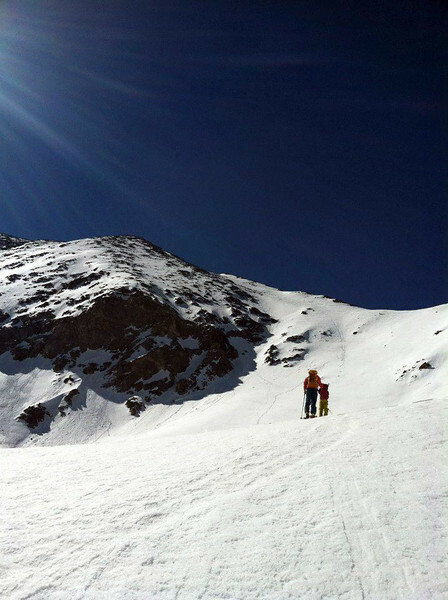 Our exit couloir is visible pretty much right in the center of the photo. An excellent way to close out the 2013 playoff season!